Historically, employers have looked at students in terms of their programs and which year of school they’re in. Through that lens, campus recruitment activities traditionally target students by program, year and school, assuming that all students who fall into that group should be provided the same campus recruitment information. But it turns out that not all fourth-year business students from so-called top-tier schools, for example, are as engaged in their careers as others. We found that students fall into 3 types that don’t necessarily reflect their major, year or school, and some highly engaged students – such as first- or second-year students without access to co-op or internship opportunities – are actually being excluded from the campus recruitment and retention process because they don’t fit into employers’ recruitment frameworks. Similarly, employers are wasting valuable recruitment (and onboarding) resources on students who are not engaged with their careers or ready to make decisions about which job, employer or even which industry they should start their careers in. After all, would you rather hire a student who accepts your offer because they aren’t sure exactly what they want to do but need a job, or a student who passionately believes that your organization is the best fit for them? Understanding these 3 different types of students is essential to knowing how to recruit campus leaders (referred to in this framework as Engaged Leaders) and the students they influence (what we call High Potentials), which will be covered in future posts in this series. 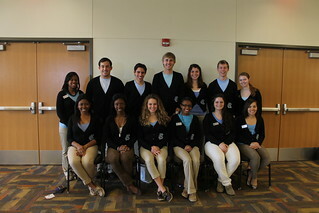 Leaders of student groups, associations, etc. Exhibit “professional” behaviour – have complete LinkedIn profile, professional photo, strong experience, business wardrobe, networking skills, etc. 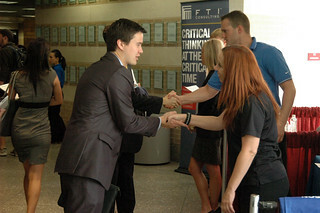 Engaged Leaders are most often business/commerce students from top-tier schools, but not for the reasons you might think – in general, they simply have better access to career resources and preparation in-class and on-campus, and more exposure to employers, than other types of students, such as arts. Engaged Leaders are undoubtedly the most in-demand students and many top employers’ campus recruitment activities are tailored for these students. However, there are only a handful of these students on each campus and only a handful of schools from which employers typically recruit, which means that most employers can’t hope to fulfill their entry level hiring numbers with Engaged Leaders alone. Unlikely to exhibit professional behaviour – lack professional online presence, relevant experience, appropriate clothing, etc. High Potentials represent the biggest area of opportunity for employers. They make up the largest cohort of students that are actually engaged in their careers and can also be reached by the most cost-effective and time-efficient strategies – namely online campus recruitment. Some High Potentials may still be on-campus leaders, but they attend schools that are less frequently visited by employers and therefore their leadership experience is less prestigious. Similarly, these students may be interested in interacting with employers on-campus, but top employers have less of a presence at their school, and/or High Potentials feel unconformable or ill prepared to attend info sessions, career fairs, etc., in comparison with Engaged Leaders. Most post-secondary students are Unreachables. These students are focused on their school work, friends, college/university experience, etc. One day, they may be very successful, but at this point in their lives, they’re simply not ready to think about or take action on their careers. Therefore, we call them Unreachables because no amount of recruitment advertising, career resources or preparation, or opportunities to connect with employers will encourage them to actively engage in career activity, and employers should not focus their recruitment resources on trying to attract or recruit these students. Discussion:Which group are you engaging with your campus recruitment activities? Which type of student were you when you were in college or university? How can I find a job if I did not graduate from a prestigious university but am engaged in other extracurricular activities? You certainly do not need to have graduated from a so-called prestigious university to find a job. It’s difficult to provide specific advice without knowing your major, career goals, etc., but using online tools like TalentEgg in combination with networking, positioning your education and experience effectively on your resume and in interviews, tailoring your resumes and cover letters for each job you apply for, etc., will put you in a good position to get a job. Many employers are concerned with the whole package — education, grades, extra-curricular activities, volunteer work, work experience, etc. — not just one aspect. Great article! A refreshing take on classifying students and where they are in their job search. Often we try to lump all students into the same bucket but you are correct in your evaluation.